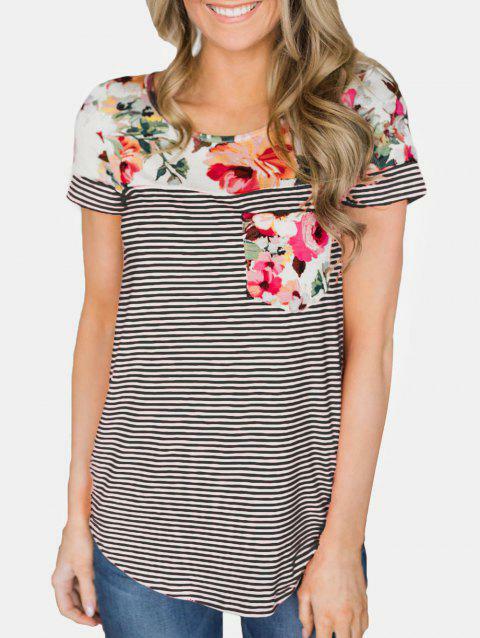 This casual tee emphasizes a classic round neckline, trendy short sleeves, and pretty flower print with striped pattern together. The front pocket design adds charm and fashion. Fits perfectly, cute and comfy. Soft material.